Good quality was in evidence at our inaugural Pinot Gris Masters. Appropriately for a grape with global significance, our judges enjoyed exciting examples from all over the world, writes Patrick Schmitt MW. If one were to list the most commercially significant white grapes of the world, Pinot Grigio – or to use its native name, Pinot Gris – should certainly be among the first to be noted, along with Sauvignon Blanc and Chardonnay. Yet, while we run Global Masters competitions for the latter two grapes, when it came to the former variety, we weren’t assessing it in our unique format: that is, a blind tasting of wines without any prior knowledge of their origin. 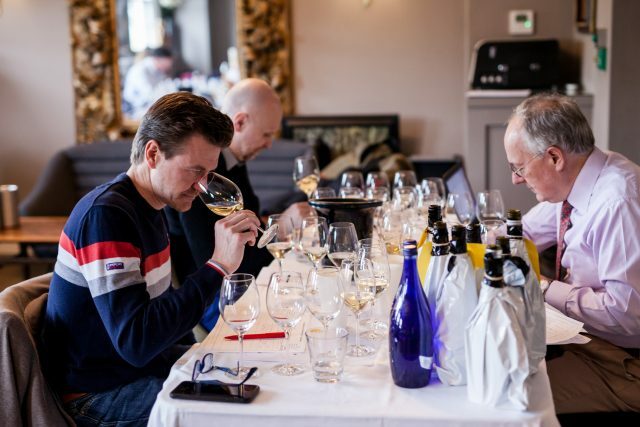 However, in 2018, this changed, and we held our inaugural Pinot Gris Masters in March, using, as always, highly experienced judges, all of whom are Masters of Wine, Master Sommeliers or senior buyers. In a crowded wine competition arena, our Drinks Business Global Pinot Gris Masters stands out for its assessment of wines purely by grape variety rather than by region. Divided only by price bracket and, for ease of judging, whether the style was oaked or unoaked, the blind-tasting format allowed wines to be assessed without prejudice about their country of origin. The best wines were awarded medals which ranged from Bronze through to Gold, as well as Master, the ultimate accolade, given only to exceptional wines in the tasting. 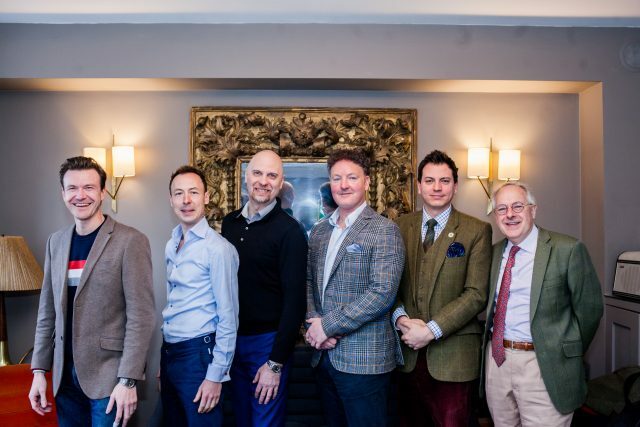 The wines were judged by a cherry-picked group of Masters of Wine and senior buyers on 8 March at Bird of Smithfield in east London. It was an exciting prospect – this is a grape of great global significance – and the outcome was revealing, highlighting great places for the variety, while confirming the quality of established regions. But the first thing we discovered was a pleasing lack of faulty versions. Indeed, the only issue we witnessed during the day’s tasting concerned some slightly tired samples at the cheaper end, which we later discovered were from the 2016 vintage or older. However, it is worth noting that there were no wines with excessive S02 or TCA taint, suggesting there are good levels of quality control and winemaking in the category. The other positive we picked up on was the good general quality of wines at entry level, with plenty of relatively inexpensive versions showing an appealing combination of orchard fruits and bright acidity. Where the wines performed less well, it was suspected that yields had been pushed too high, diluting flavours and acids. Another general stylistic observation made by the judges after the day’s tasting was the grape’s affinity for fermentation and/or ageing in oak, as long as the vessel is relatively inert – very few samples show excessive vanilla flavours, but we tasted some wonderful wines with a touch of oak influence, be that in texture or flavour. Although we saw few examples of the classic late-harvest style of Pinot Gris associated with Alsace, the top scoring wines in the tasting had a touch of oily richness and exotic fruit, the traits that make this variety, when it’s cropped low and picked fully ripe, so delicious. So what of the origin of the best wines? One thing we noted was the quality of Pinot Gris/Grigio hailing from Italy, particularly Trentino. Indeed, as many as one fifth of the medallists were from the Tre Venezia of the Veneto, Friuli and Trentino Alto Adige, newly united under one DOC called Pinot Grigio delle Venezie. Such a result is important to note because the new DOC has been implemented to guarantee quality and safeguard the image of Pinot Grigio from this part of Italy, which covers 24,000 hectares, representing an annual production of a little more than 200 million bottles (around two thirds of the global total). But northeastern Italy wasn’t the only source of great Pinot Grigio. An immensely exciting find, and our top-scoring wine of the competition, hailed from just over the border in Slovenia, where Puklavec makes a Pinot Grigio called Seven Numbers – a title given to its top single-vineyard wines. Made in Slavonian oak, but using modern winemaking approaches, this is a clean, apple and pear-scented wine, with a touch of yellow fruit, and a lovely rounded texture, balanced by a bright and slightly stony finish. Coming close in quality, however, was the similarly styled Marco Felluga Collio Pinot Grigio Mongris, proving that quality is rife in this part of Europe. In our unoaked category, it was a wine from the southern hemisphere that picked up a Master. And that was the Te Pa Pinot Gris from Marlborough, New Zealand, which displayed layers of exotic fruit, a delicious viscous texture and a cleansing freshness. Impressing the judges, it showed that Marlborough can craft classleading Pinot Noir and Pinot Grigio, as well as Sauvignon Blanc. While there were just a few wines that reached such high points, plenty of wines in the tasting were of an excellent standard, and hailed from a broad range of nations, including Australia, Hungary, France, Moldova, the US, New Zealand, Slovenia, the UK and Chile. In short, this tasting highlighted the hot spots for Pinot Grigio, as well as this grape’s ability to produce good results in a range of places. It is a variety of huge commercial importance, but also, impressive stylistic diversity, and great quality potential. Like other tastings in our Global Masters series, the competition for Pinot Grigio proved that this variety is no one-trick pony, but professional assessment is required to pick out the best examples at a range of price points. Scroll through to view the results for the sparkling, unoaked, oaked and rosé categories.